While the world watches every twist and turn in the unfolding Edward Snowden drama, the story becomes less and less about the information he revealed and more and more about an international manhunt. But if the issues of PRISM and spying on China and GCHQ’s spying at the G20 are falling off the radar, then how much further off the radar is the story of Russell Tice? Although very few are aware, Russell Tice was one of the NSA sources that James Risen and Eric Lichtblau used for the original 2005 New York Times report on the warrantless wiretapping scandal. In 2009 he went even further, revealing on national TV that the NSA was specifically targeting journalists’ communications in a massive and undisclosed eavesdropping program. And just last week, Tice went further than ever in exposing NSA corruption. 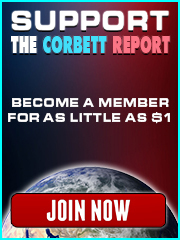 In two exclusive interviews with BoilingFrogsPost and The Corbett Report, he revealed that not only is the NSA now intercepting and storing all electronic communications in the United States, but that Tice himself had personally handled the paperwork authorizing wiretaps on some of the most powerful judges, lawyers, military officers, and elected officials in the country, including soon-to-be President Barack Obama. That the NSA is covertly spying on all three branches of the American government is nothing short of scandalous. Tice’s revelations are especially appalling to anyone even remotely familiar with how exactly the type of information collected in such intercepts can be used for the purposes of political blackmail, and how profoundly that blackmail can shape the political landscape of the country. In fact, there is a long history of intelligence agencies and covert groups using precisely this type of information to blackmail politicians in the past. Political blackmail is as old as politics itself, but perhaps the best-known example of the past century was J. Edgar Hoover’s secret files. Almost from his appointment as director of the Bureau of Investigation, which morphed into the FBI in 1935, Hoover began amassing confidential information that the bureau collected on politicians in the course of their investigations. The files included information on the liasons and affairs of Eleanor Roosevelt, JFK, RFK, MLK, and a host of other figures. He openly held this information over them, telling JFK over lunch in March 1962 that he had wiretaps of Kennedy having an affair with Judith Campbell Exner, the mistress of Chicago mafia don Sam Giancana. As a result, no President ever dared to fire Hoover, and Hoover’s FBI became untouchable by anyone in Washington. Many of the secret files were destroyed after Hoover’s death. In 1954, political blackmail was used to bring down Senator Lester Hunt<?a>, ultimately leading to his suicide. Nor is this a peculiarly American phenomenon. In 2005, a massive wiretapping scandal was uncovered in Greece, where more than 100 high-ranking dignitaries were found to have been bugged, including the Prime Minister. When the scheme was uncovered, the Network Planning Manager for Vodafone Greece, the cell phone network through which the communications were tapped, was found dead in his apartment of an apparent suicide. In the News of the World scandal surrounding Rupert Murdoch’s media empire and the phone hacking that was rampant in the British tabloid world, the inquiries included investigations into the allegations that top politicians were targeted for hacks in order to gather dirt for a plot to blackmail members of an influential Parliamentary committee. And as FBI whistleblower Sibel Edmonds detailed in a recent interview on The Corbett Report, the FBI’s tactics of gathering dirt on politicians did not end after Hoover’s death. During her tenure with the agency in the early part of last decade, she witnessed how the Bureau would hang on to information gained from eavesdropping on FBI investigation targets who were conspiring with top-ranking political figures. The information, as Edmonds and the field agents involved in the investigations surmised, was being stored for later use in blackmailing politicians who crossed the Bureau or its director. Earlier this week, Sibel Edmonds appeared on The Corbett Report to discuss the Tice revelations, her own direct experience with eavesdropping on Congress in the FBI, and how this information can be wielded by a small clique to make themselves de facto rulers over the American political system. The picture that is being painted by Tice and Edmond’s revelations is a grim one. It tells the tale of a government that is no longer “by and for the people” (to the extent that it ever was), but by and for a small intelligence establishment with the means to spy on and blackmail judges, lawyers, officials and even the President. Lest there be any doubt about the extent to which the FBI and the NSA collaborate and cover for each other in these operations, a telling moment was accidentally caught on microphone after NSA head General Keith Alexander’s testimony in front of a Congressional hearing. Alexander and the NSA was vigorously defended at the hearing by FBI Deputy Director Sean Joyce, and after the meeting Alexander was overheard thanking Joyce for the FBI’s part in covering for the NSA operations. It is difficult to overemphasize just how serious these allegations are, or how fundamentally they threaten the very foundations of the American political system. Every four years, millions of people go to the polls believing that they are pulling the levers for the candidate of their choice, a representative who will take their concerns to Washington in an attempt to better their communities. In reality, if these latest allegations really do amount to a systematic blackmailing operation, the people are not voting for a representative, but the FBI or the NSA or whatever other agency is able to collect and use blackmailable information in the name of “national security” operations. Given just how fundamentally this calls into question the very notion of a democratically elected constitutionally-restrained American Republic, one would expect that among the non-stop, 24/7 network coverage of the Edward Snowden story there would be some time, even a few minutes, to devote to Tice’s allegations. At the very least, one would expect that these networks would at least solicit an official denial from the NSA press office or vet Tice’s claims against other NSA whistleblowers. Not only have the networks NOT covered the story, however, they have gone out of their way not to cover it. 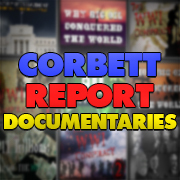 In the weeks preceding Tice’s interviews with Boiling Frogs Post and The Corbett Report, he was scheduled for four separate on-camera interviews with major television networks. All four interviews were cancelled. After his recent allegations were made public, MSNBC invited him on to talk about the NSA spying scandal, but just minutes before the interview they told him that he was specifically forbidden from bringing up the wiretapping allegations during the segment. Worse, Glenn Greenwald, who has received universal acclaim amongst the alternative press and universal derision amongst the pampered establishment journalistic class for his dogged pursuit of the Edward Snowden case, has not even acknowledged Tice’s claims, let along attempted to report on them. Greenwald was specifically asked for comment on this report regarding Tice’s allegations, but has so far failed to reply. Given the recent reminders that journalists, too, are privy to the same data collection and blackmail that the courts and the government itself is subjected too, it is safe to assume that these recent revelations are simply too hot for any establishment journalist to handle. This means it is now up to the viewers of this report to help disseminate this information and to alert others to the fact that national security establishment whistleblowers are alleging massive data collection and blackmail by the intelligence agencies. It is not until the societal conversation can be directed away from the manhunt for Snowden and toward questioning the very existence of the “national security” state and the extraordinary powers that have been granted to the intelligence agencies to operate in that arena, that the American people can even start to devise a solution to this problem.